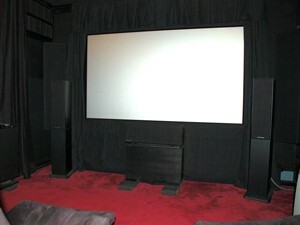 American Fabricators offers many canvas and specialty fabrics for a variety of applications. SUNBRELLA® fabrics debuted in 1961 as an alternative to the most popular awning fabric at that time, cotton. SUNBRELLA® offers a rich look and feel of cotton, but does not fade or degrade, even in the brightest sun, and offers years of care free service. SUNBRELLA® fabrics are a favorite with business and industry. You will find SUNBRELLA® fabrics in awnings that decorate leading retail, commercial and resort locations around the world. Recent advances in the application of graphic elements to SUNBRELLA® fabrics make them an ideal addition to corporate identity and brand-building programs, displaying detailed, full-color logos. SUNBRELLA® fabrics are extremely durable and are engineered for a serviceable lifespan two to ten times longer than conventional fabrics. SUNBRELLA® fabrics are easy to clean and fade resistant and can be used outdoors. 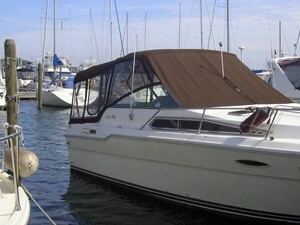 SUNBRELLA® awning and marine canvas is engineered for shade structures and features a very stiff, tight construction and a heavy finish. CORDURA® fabric is what many of the most respected brands, retailers and militaries around the world use when they need to make a product that’s durable, versatile and reliable. Constructed using high tenacity fiber technologies, weight for weight, CORDURA® fabrics are exceptionally durable. 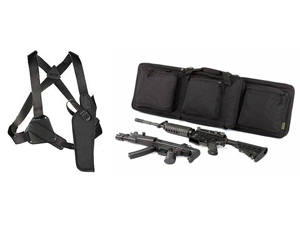 CORDURA® fabrics are available in a wide range of weights – from ultra lightweight to heavy weight. And CORDURA® fabrics come in many different constructions and textures. All in all, they’re the fabrics that make strong, long-lasting products even tougher in several categories – from outdoor gear and workwear to luggage, military and upholstery. Duvetyne is used to black out unwanted light and is a lightweight alternative fabric to Commando fabric. Duvetyne has a light absorbing, brushed matte finish on one side. Because of its light weight (8 oz. ), duvetyne is only minimally effective at concealing lighted areas. For this reason it is better for covering objects, than space. 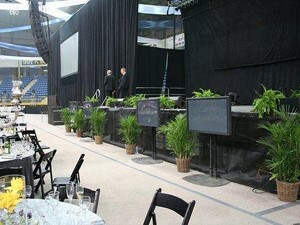 Duvatine works nicely as Stage Draping, Meeting Backdrops, or for Portable Rooms or Partitions. Denser than Duvetyne, Commando Cloth’s extinguishing and blackout capabilities are superior. Commando Cloth is made from 100% cotton, is treated to be fire retardant, and is a standard in the motion picture industry. The Commando Cloth we carry is 16 oz. It has a brushed matte finish. 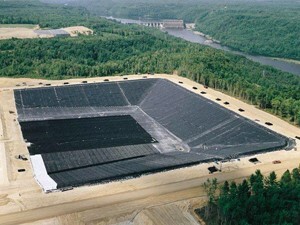 8130 XR-5® is a state of the art geomembrane compatible with a wide range of harsh liquids. 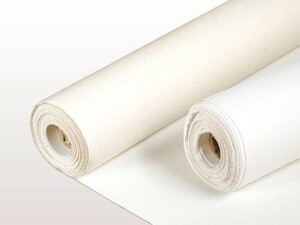 It is an extremely tough woven synthetic fabric of DuPont Dacron Polyester which has been molecularly coated with sophisticated compounds that are minimally degradable in adverse environments. This design eliminates liner failure caused by “wicking” as can be experienced by laminates. Delamination is also impossible as XR-5’s exclusive molecular primers saturate its woven fibers bonding the substrate and coating compound into a single system. XR-5® also exhibits impressive dimensional stability, tensile strength and puncture resistance. Maximum strength to weight ratios and superior flexibility are other qualities which XR-5® delivers. In plant fabrication and on-site installation go quickly. Time and money are saved and quality is assured. Shelter-Rite® is a very durable and heavy vinyl coated woven polyester often used for a variety of applications. With nearly 60 years experience, Seaman Corporation has a long-standing reputation for the development and delivery of a broad range of high performance fabrics for military applications including vehicle covers, fuel tanks, potable water tanks, dehumidified warehousing and storage facilities. Seaman Corp. also delivers innovative fabric solutions to the roofing, civil engineering, architectural and marine industries. 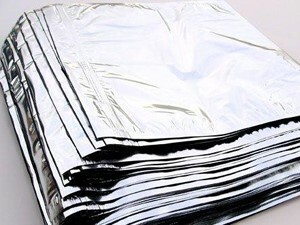 Mylar® is a flexible, strong and durable highly reflective film with an unusual balance of properties making it suitable for many industrial applications. It is specifically designed as an insulator and is also commonly used in the horticultural / growing industries either out in tree plantations field or in indoor hydroponics. Its chemical resistance, dielectric strength, moisture resistance and overall physical toughness make it a versatile and functional material for most environments. 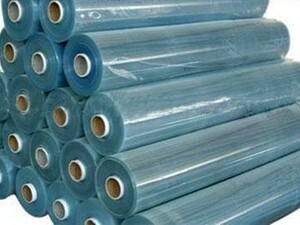 – Used for Vinyl Windows, Industrial Curtains, Canopies, Awnings, Signage etc. – It is fire retardant, mildew resistant, with a -40° C cold crack.